Possibly. In California, your health insurance company most likely has a lien subrogation right, allowed by state law. Your policy might state that you have an obligation to repay the company for any medical treatments you received after your injury, because it provided payment to third parties during the time you pursued an injury settlement. Finally having your case resolved is a relief, but learning that you owe money may be a bit of a surprise. However, your personal injury attorney may know of ways to reduce these repayments from your settlement proceeds. Understanding of law and contracts. He understands the complicated federal and California laws, such as the Make Whole and Common Fund Doctrines, that can help limit the amount others with liens are entitled to. For example, under the Make Whole doctrine, you're entitled to be made whole before any amounts are repaid to your insurance company. In addition, legal counsel will thoroughly review your health insurance policy to ensure your rights under this contract are protected. Identifying lien holders. 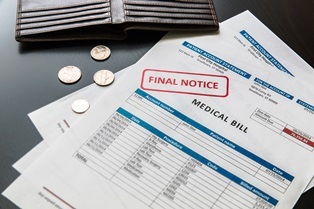 Your attorney can identify the lien holders and can keep track of the medical bills included in their repayment. There may be many variances in what is actually owed and what's covered under your policies. Clarifying expectations. After your car, large truck, or another personal injury accident, there are many moving parts of a personal injury claim. A dedicated legal team can handle the communication with potential lien holders, keep them updated on case progress, and make it clear how settlement repayments will proceed. Negotiating your repayment. When you're close to resolving your personal injury case, your lawyer will negotiate with your health insurance company and other lien holders on your behalf to reduce the amount owed. Do you have questions about the duty to repay your health insurance company out of a personal injury settlement? Do you need to file a claim for compensation following an accident? Attorney Mark Blane and his legal team are committed to aggressively fighting for the rights of accident victims in San Diego and throughout California. To find out how he can help you, start an online chat, or call our office to schedule your free consultation today.